Y’know how we have the Christmas rush, followed by New Year’s celebrations and then the Back-to-School frenzy happens straight after? It’s irritating, isn’t it? You barely get a breather between school ending and the Christmas season and then all of a sudden you’re meant to be thinking about new pencil cases and trying to work out how to get out of covering your children’s school books. Oh, and then there’s the school shoes. I bought six pairs for my kids just before school started. Jeez, what an expense! I have a bit of a love-hate relationship with the Back-to-School season as I can’t stand all the marketing starting so early, but because I’m all about school lunchboxes, it’s peak season for me and my blog. 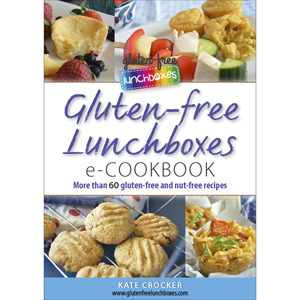 So I jumped right on that bandwagon when my good friends at Australian Gluten-free Life Magazine asked me to write a Back-to-School toolkit for Issue 8 in early 2016. It’s always great to have a reminder about how to efficiently pack lunchboxes, no matter what the time of year, so I’ve reproduced the article below. And if you’re wondering where to find the recipes in the above pic, check out my eCookbook for the Zucchini, Feta and Bacon Quickbread, the Sweet Spiced Pumpkin Muffins and the Raspberry and Cherry Choc Muffins. You know the scenario. After a summer of sand and surf, suddenly you find yourself in school mode once again. You’ve made sure the uniforms fit and bought new school shoes, but when it comes to lunchbox food you come up blank. Before you know it, you’re back to the grind of trying to pack lunchboxes that tick all the boxes – healthy, varied and meeting your kids’ approval, all the while needing speedy solutions so you can get out of the door on time. It can be a never ending source of stress. But the good news is that with a little preparation and organisation, you can pack fantastic lunchboxes every single time. Here’s our Lunchbox Toolkit to get you started. There are lots of back to school recipes floating about at this time of year. Collect a handful of recipes and give them a test run. If the kids approve, file them away for essential, go-to lunchbox ideas. Simple recipes that show you how to convert your meal leftovers into easy lunchbox solutions are gold. All the effort you put into the family meal is really worthwhile if you can get some lunchbox fare out of it as well. While we’re on the subject of leftovers, don’t be afraid of serving them cold. They can be a quick and easy lunchbox solution. You may need a few attempts to get kids used to eating their leftovers cold, but the dividends are worth it. Choose recipes that can be frozen, for example cakes, muffins, slices, biscuits and pizza. Double or triple the recipe quantities so that you can make large batches to freeze in individual portions. Defrost the portions as you need them. Try to regularly shop for fresh fruit and vegetables so you don’t run out of nutritious food options when you’re preparing lunchboxes on the run. Serious athletes have regular food preparation days to keep them on the dietary straight and narrow. Apply the same concept to your kids’ lunchboxes. Prepare vegetable sticks in advance of the school week so that you don’t spend time preparing them in the mornings. That way, there’s always a nutritious fast food option at the ready. Use icepacks to keep food fresh and invest in some good quality food containers of various shapes and sizes. Don’t let the containers get lost in your plastics cupboard/drawer – you’ll never be able to find them when you’re in a rush! Always store them in the same place, along with any lids. Prepare as much as you can the night before – take food out of the freezer to defrost overnight and pack into storage containers. It will save you time in the morning and will avoid nasty mix-ups between gluten and gluten-free food. Keep good-quality gluten-free bread in the freezer just in case you run out of other options. Make sandwiches with nutritious fillings but avoid fillings that will make them soggy, such as tomato or tuna. 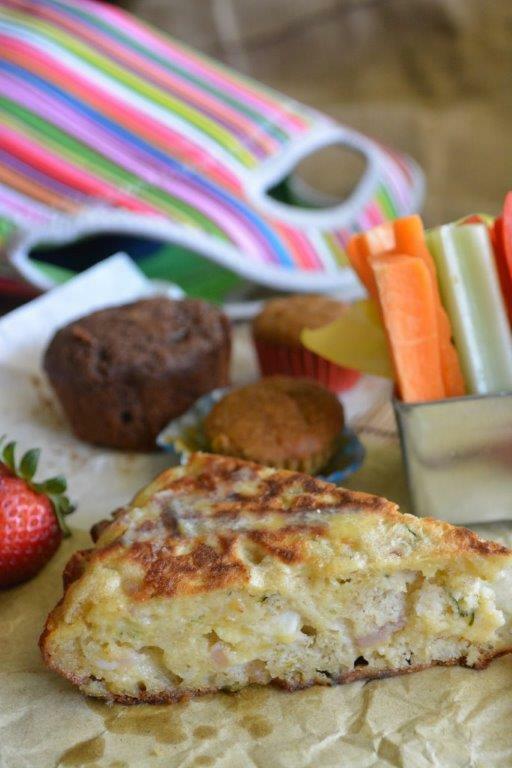 Encourage your kids to get involved in packing their own lunchboxes. Giving them some say over what is included increases your chances of having empty lunchboxes and full tummies at the end of the day. I always fall down on the ‘night-shift’ part of the plan!